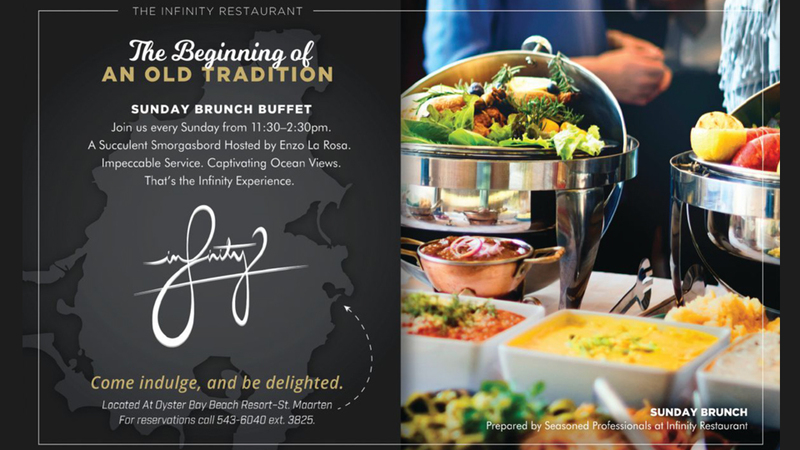 Infinity Restaurant has a whole new look – and a new menu crafted by esteemed restaurateur Enzo la Rosa. Choose from a tempting selection of island delicacies and traditional favorites, all accompanied by impeccable service and mesmerizing ocean views. That’s the Infinity experience. For reservations, call (+1 721) 543-6040 ext. 3825.